Every week, we’ll bring you a must-hear track from the Le Guess Who? 2018 line-up. This week, it's one of the projects of jazz superforce & festival curator Shabaka Hutchings, who released their new album via the legendary Impulse! label earlier this year. Sons of Kemet's album 'Your Queen Is A Reptile' is a sacred totem for black female icons. The track 'My Queen Is Harriet Tubman' is dedicated to the American abolitionist and political activist who was born into slavery. After her escape, though, she was able to help many other enslaved persons to regain their freedom as well, including members of her family and friends. At Le Guess Who? 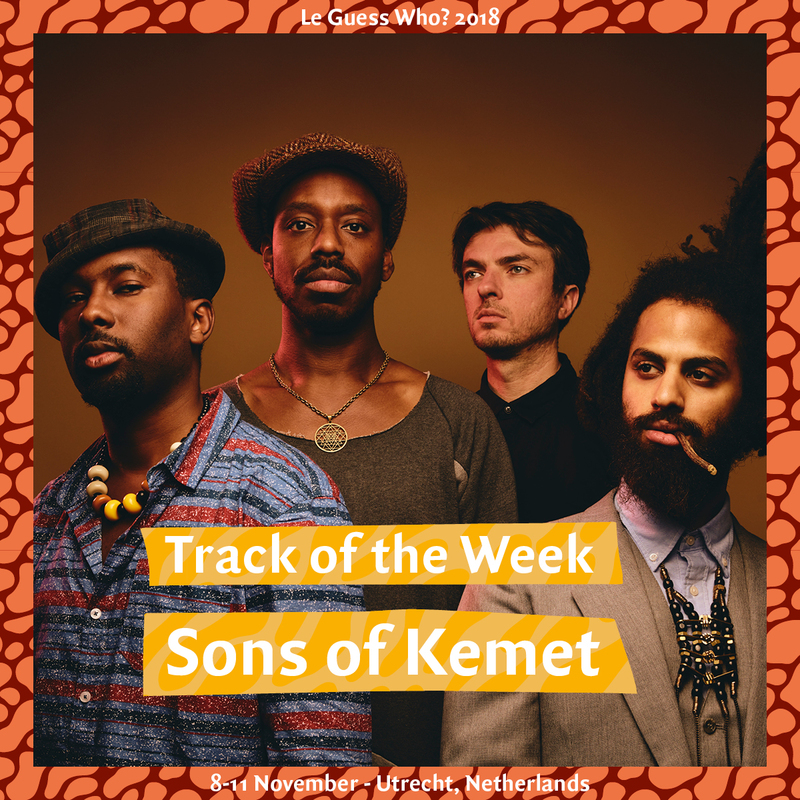 2018, we’ll present Sons of Kemet's 'XL-version', an extravaganza featuring four drummers. Also performing at the festival are a.o. Art Ensemble of Chicago, The Comet is Coming, Colin Stetson, Nicole Mitchell, Saul Williams & King Britt, STUFF., and many more.